I read this very transparent and informative article by Cameron McNeish on the Walk Highlands Magazine Site Today and it pretty much sums up the shameful state of affairs regarding camping access in Scotland's first National Park. "If an SNP government can take us in this direction with camping byelaws, what next? Byelaws to control mountain biking, walking, canoeing and swimming, for example?" The unfortunate thing is it's already happened. 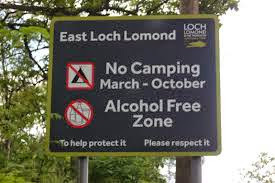 Under this Legislation bent Government, despite existing Police powers to combat anti social behaviour by a minority, Scotland must be one of the only countries in the world where it is now a CRIMINAL OFFENCE to have a beer or glass of wine on a public beach with your picnic. And, should you be unfortunate enough to be merely reported or even have it alleged you are guilty of such a HEINOUS CRIME then you can be detained, in a Police Cell, under SECTION 14 of the CRIMINAL PROCEDURE (SCOTLAND) ACT 1995, for a period of up to 12 hours, WITHOUT CHARGE, until the Police ascertain whether you are guilty or in fact innocent of ANY CRIME in the first place. I suppose one upside of being caught camping "illegally" in or on the borders of The Loch Lomond and Trossachs National Park EXCLUSION ZONE on a cold, wet, windy Scottish night is that you could find yourself banged up in a nice warm Police cell for the evening while the Cop's carry out their investigations as to whether you were actually within the exclusion zone in the first place. 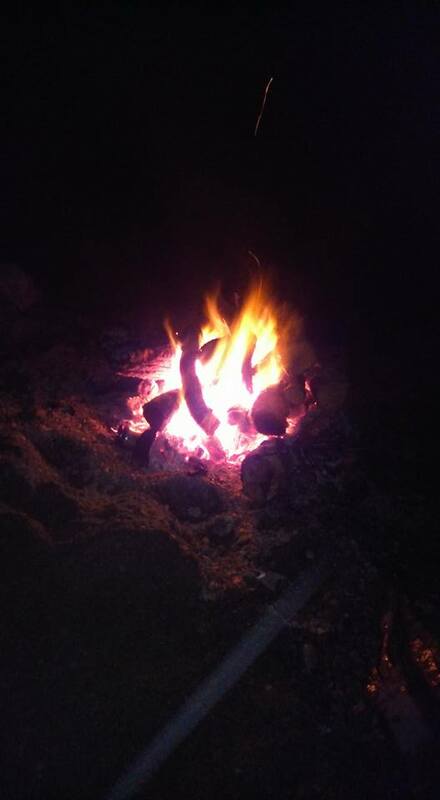 May The Fire Be Always Lit !